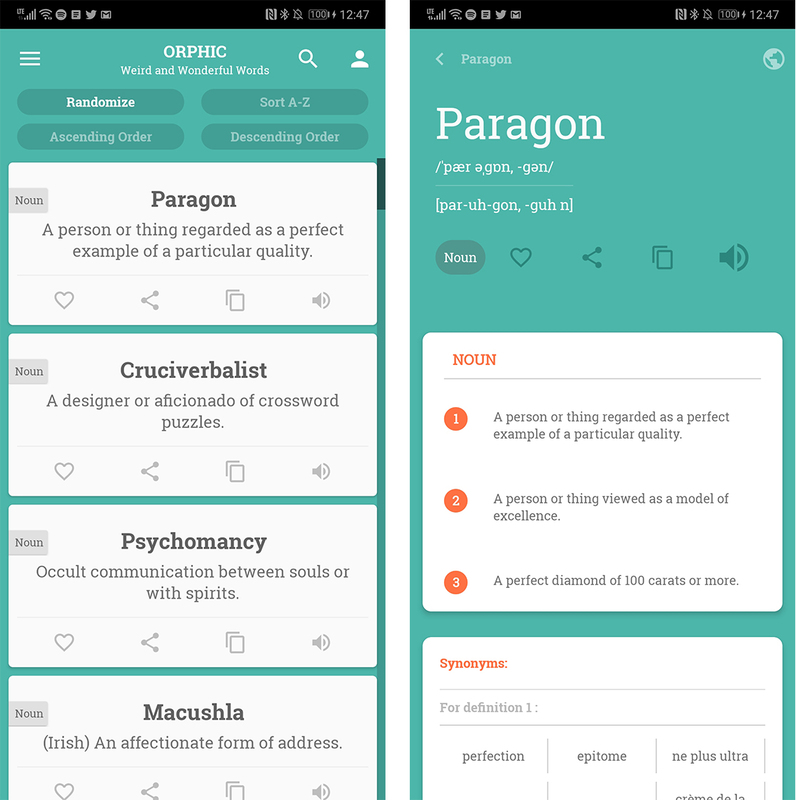 Orphic is a simple vocabulary expanding app that pushes users to discover new words. The main interface is a list of words with a definition that you’re able to browse at your own pace. There are options for sorting the words alphabetically, but my favourite is the random order preset. 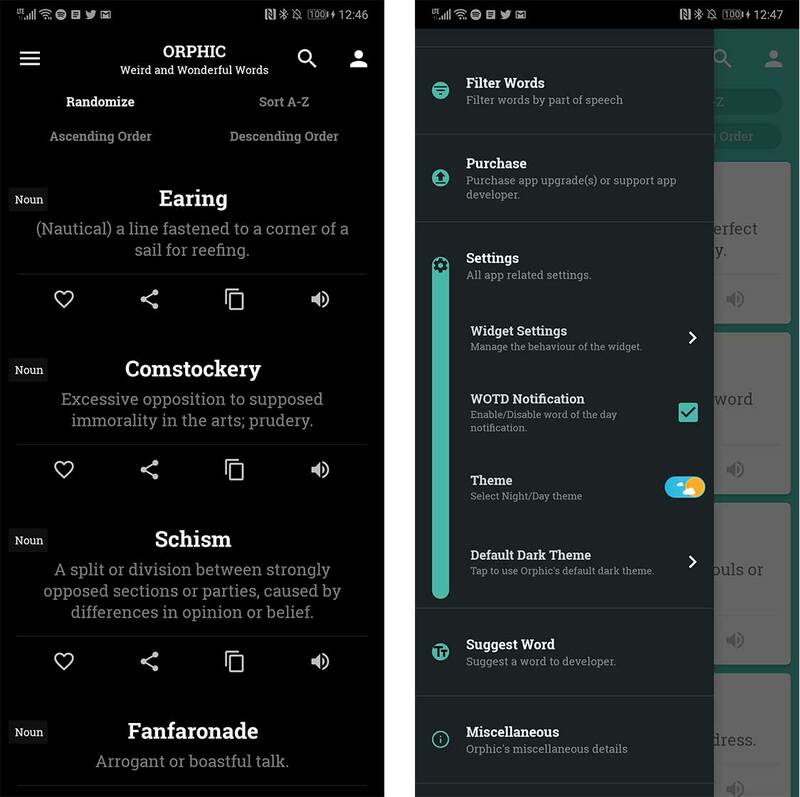 In the left-side menu, users can even filter words by the part of speech they’re looking for. This makes it easier to find nouns, verbs and other words. When you tap on a word, it expands the card to add more information. Everything you’d see in a dictionary definition is located here. There is an IPD notation pronunciation helper, word-type classifications, synonyms and examples. There are even links to popular knowledge sites like Wiktionary, Dictonary.com and more. 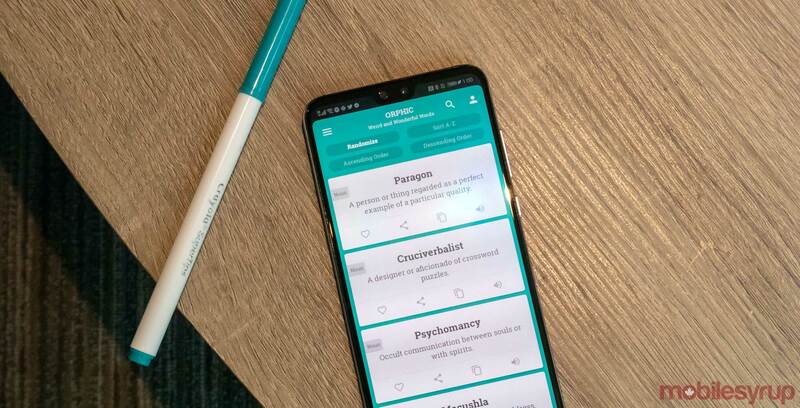 If it’s a word you like you can add it to your favourites list for quick access, and there’s a space at the bottoms of each word’s page to jot down notes about it. Every day there’s a new word of the day, and a notification arrives to nudge you into the app. You can also disable the notification if you want. If you’re super into the word of the day, you can even create a widget on your homescreen. The app has a dark mode with a cute toggle that displays the Sun and a few clouds when you’re in day mode, which thn turns into the Moon and stars when night mode is on. In addition to this, there’s an ‘Amoled Dark Theme’ for true blacks on OLED based-phones. Finally, there’s a button to let users suggest words to the developer to help expand the app’s knowledge base. You can download Orphic on Android for free.